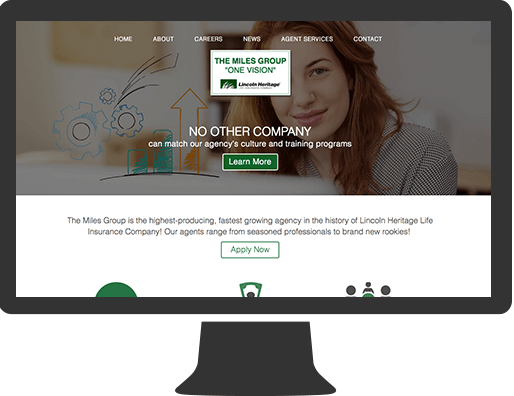 The Miles group is an agency with Lincoln Heritage Life Insurance company located in Export, PA. They consist of over 300 agents across Pennsylvania, Delaware, Virginia, Indiana, and Florida. TMG was the first agency to produce one million dollars and the first agency to produce two million dollars within Lincoln Heritage’s 52 years of service. TMG wanted a website redesign that showcased the success they’ve achieved working as an agency for Lincoln Heritage as well as act as a source of information for new and existing agents. 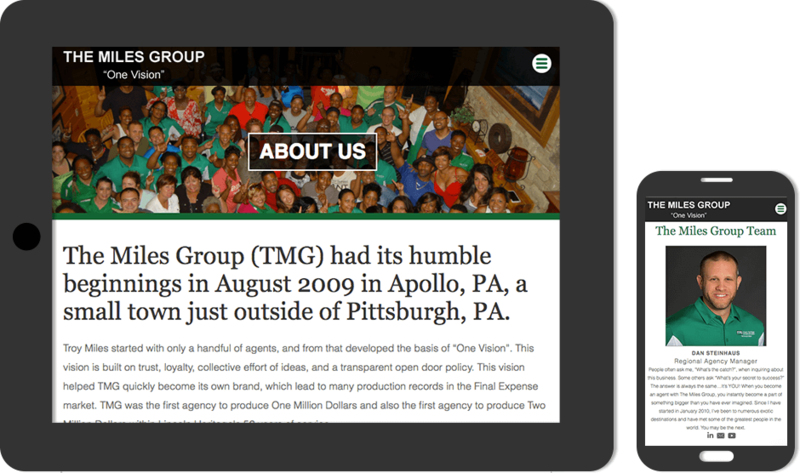 By working closely with The Miles Group, CINTACS was able to create a simple and effective site redesign that met TMG’s requirements. The website functions as a hub of information for new and existing agents. It also allows agents to submit requests for management through the website, as well as offers an agent portal allowing agents to log in and watch training videos and download training and marketing materials that can be added and managed through the website’s custom content management system.